The PE Community Narcotics Committee is planning a campaign for "Spring Medicine Cabinet Cleanout" the week of May 14. They will be distributing custom paper bags for old medicines to be returned to pharmacies and publicizing through press release from Health Unit, social media, County FM and Community Care for Seniors. The Health Unit will be taking the lead but they will have some local assistance. 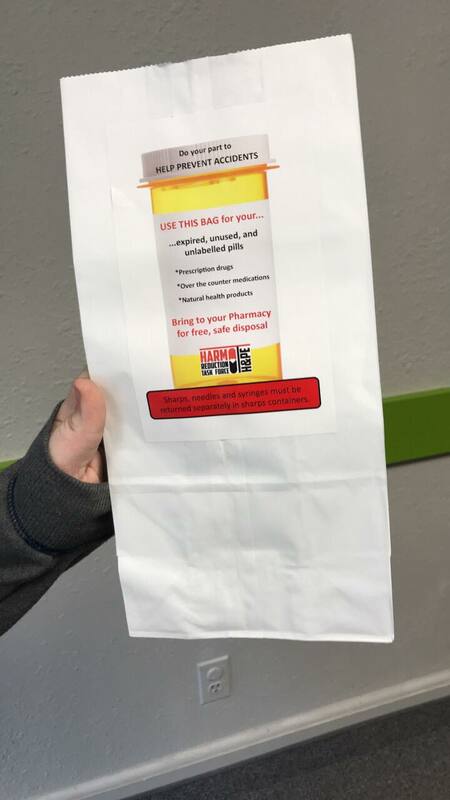 The ROC were a great help by applying labels to the bags, and PEFHT's Pharmacist Janice Hall will help promote the campaign on 99.3 CountyFM on Tuesday May 15th at 12:15pm replay at 6pm. The goal is to safely discard of old, expired or unused medications to local pharmacies diverting these items from our landfills and natural resources.